Many of us still believe that alcohol, and alcohol alone, is the real threat to our livers. However, alcoholic fatty liver disease is slowly declining and giving way to a more threatening type of liver condition. Non-alcoholic fatty liver disease (NAFLD) is growing to become the number one type of liver disease. Worse yet, it can strike those who have never even touched a drop of alcohol in their entire lives. In fact, the real threat comes from poor diet choices and lack of physical activity. 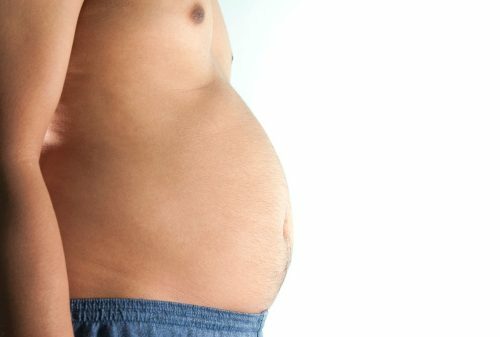 Basically, being overweight is killing your liver. In Canada, one in four individuals may become affected by non-alcoholic fatty liver disease. Cases of NAFLD are growing so quickly that it is expected to overthrow hepatitis C as the leading type of liver disease. What’s even worse, NAFLD is preventable, and yet numbers are still on the rise. “NAFLD is already having an impact on the demand for liver transplants, but what few realize is that it is also affecting the supply. Too much fat in a donor liver can mean that that organ cannot be used for a transplant. This means it is making the organ shortage even worse and we are losing out on the opportunity to save more lives,” Dr. Yoshida added. Only 10 years ago, the threat of liver disease in Canada was one in every 10, but it has quickly grown to one in every four individuals, raising alarm to the growing threat. As mentioned though, when it comes to non-alcoholic fatty liver disease, there are steps that can be taken in order to prevent it. If you’re concerned about your liver health, both alcoholic and non-alcoholic fatty liver disease types can be easily prevented through lifestyle habits. Here are some effective tips to not only protect your liver, but improve your overall health as well. Lose weight if you are overweight, and maintain a healthy range. Cut out foods with added sugar, saturated fat, trans fat, fried foods, and processed foods. Take medications only when required and follow prescription instructions and dosages.